WG Security Products Inc., the world leader in high technology EAS solutions, is proud to announce a new exclusive business partnership with Optiguard, a European manufacturer and distributor of electronic anti-theft security systems. WG Security will become the exclusive seller of Optiguard products in the United States. 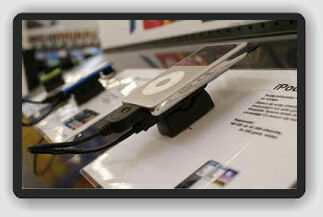 For more than 15 years, Optiguard has specialized in security products to safeguard high-end merchandise such as cell phones, laptops, cameras, mp3 players and other electronics. 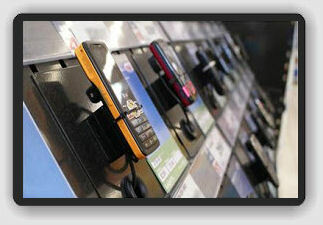 Optiguard's Loop Alarm systems and exhibition kiosks are a staple of electronics stores throughout Europe. The new exclusive partnership with WG Security Products will open the door for Optiguard's products in the highly lucrative, yet competitive, United States marketplace. "Optiguard's security products are amongst the best in Europe and we are looking forward to the challenge of providing our products and services to U.S. retailers," Optiguard Export Manager Paulina Bruzdewicz said. "WG's reputation in Europe is impeccable and we believe this partnership will be mutually beneficial to both parties." The San Jose, California-based WG Security Products offers an impressive customer list which includes domestic retailers such as Guess, The Sports Authority, Donna Karan, Bloomingdale's, Polo Ralph Lauren and other high end retailers. In addition to traditional loop alarm systems, Optiguard has developed innovative technologies such as Secu-Media, an interactive products presentation system which allows for secure display of products accompanied by video and audio presentation for the customer's benefit. In addition to this, Optiguard has perfected electronic adviser kiosks; self service terminals which enable searching of products and tutorials to familiarize customers with products. "Optiguard is on the cutting edge of loop alarm and kiosk security technology," WG Vice President of Global Operations Graham Handyside said. "WG has been an innovator in EAS technology since our inception more than a decade ago. It seemed a natural fit for our companies to start doing business together. This partnership represents WG's commitment to providing the most cutting-edge products to our customers." Optiguard products are currently available to order from WG Security Products. 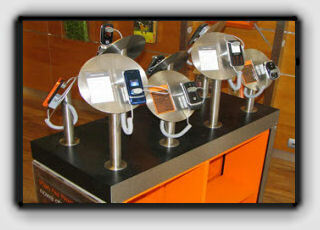 To inquire about Optiguard or request a catalog of products, please email info@wgspi.com or call (408) 241-8000.